Thomas Hart Benton and Hollywood includes a thematic presentation of Benton’s paintings, drawings, and prints, with related ephemera, film clips and stills. 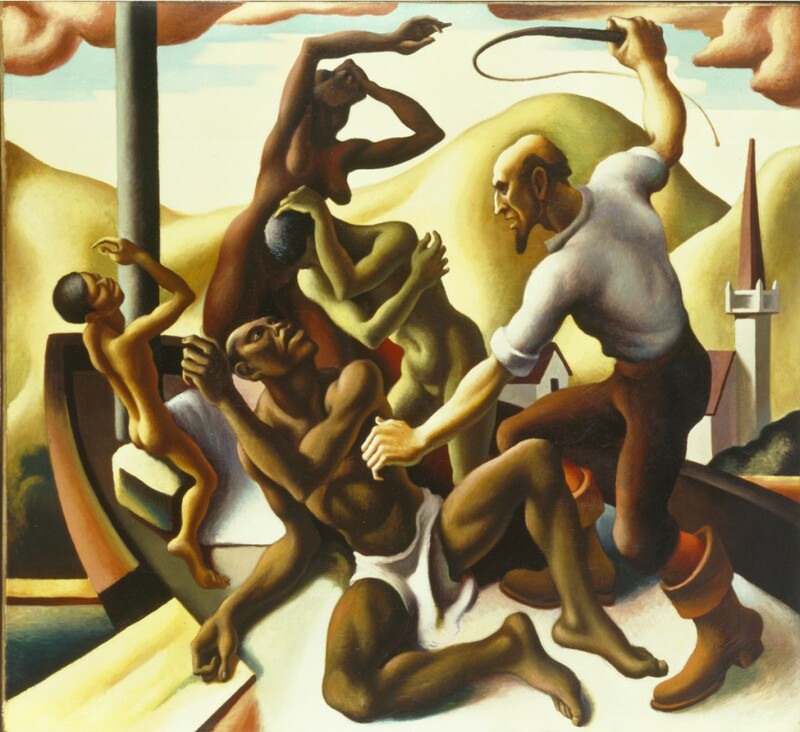 As one of the fourteen panels of the mural American Historical Epic, Benton’s Slaves is presented as part of the complete mural, installed in a single gallery for the first time. and Milwaukee Art Museum, Milwaukee, Wisconsin, June 9 to September 5, 2016.